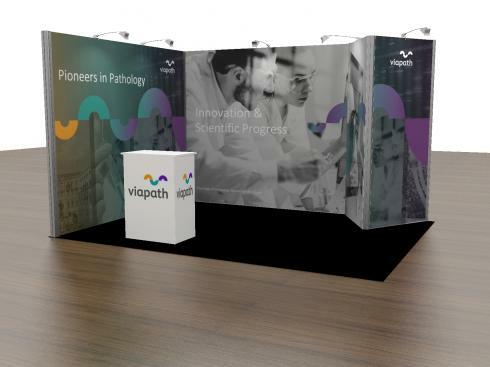 The renowned pioneers of pathology, Viapath, commission us to design and build a versatile and reconfigurable bespoke exhibition display stand. 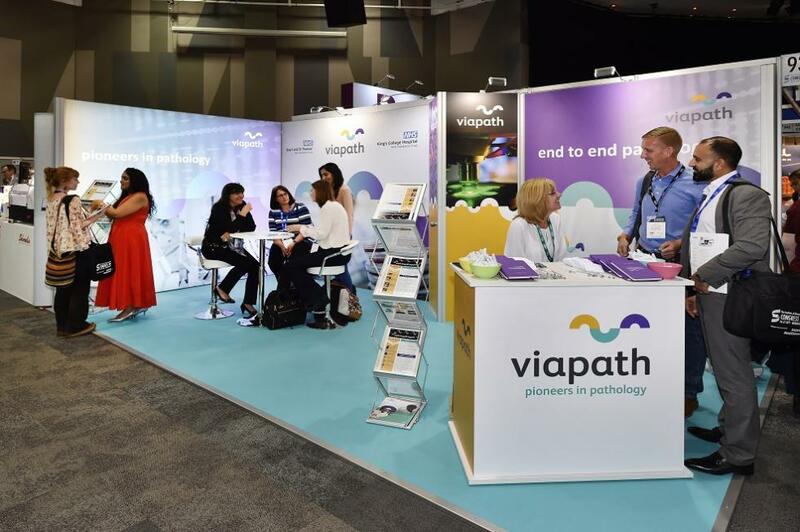 The Viapath team attend a number of medical and scientific events throughout the year, both exhibiting and attending as keynote speakers. 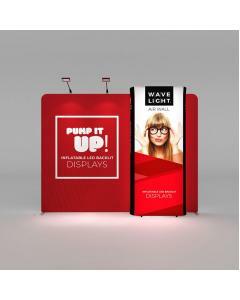 Different events have different size stand spaces, which in turn command different stand layouts. 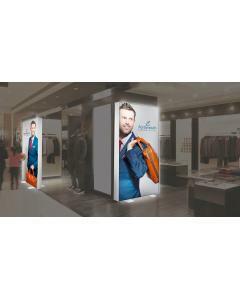 Fundamental to their design brief was the need to create a stand that would work equally well in a variety of stand sizes ranging from 6 metre by 3 metre down to 3 metre by 1 metre with many variations in between. 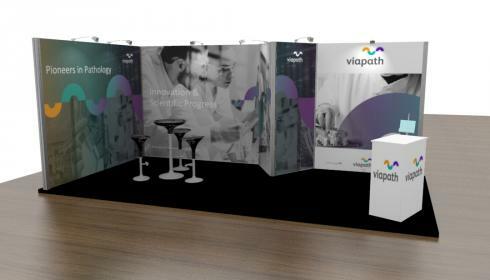 Viapath sometimes exhibit within a shell scheme system in addition to exhibiting as a space only exhibitor. 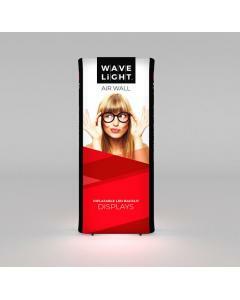 The stand therefore had to work within both of these scenarios, needing to be self supporting for space only events, but versatile enough to fit within the restrictions of a shell scheme, with most allowing a maximum stand height of 2.4 metres. 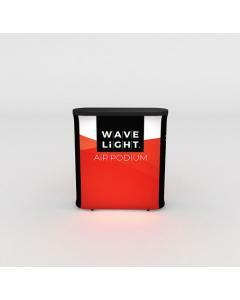 There were to be no products displayed on the stand, but a reception counter, seating area, literature stands and hidden storage space were required. 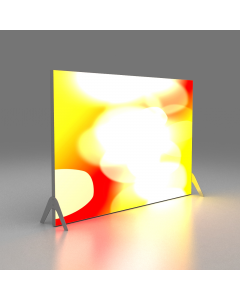 It was also important to factor-in possible additions to the stand at future events, such as the ability to mount audio visual equipment on the walls. 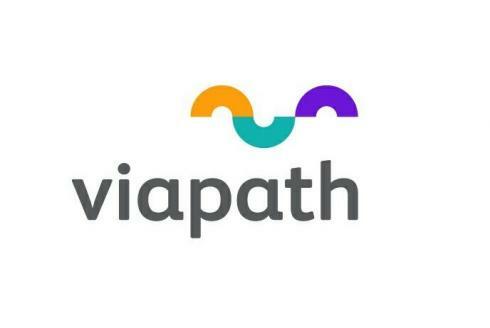 We presented three possible designs and after minor alterations, Viapath chose a winner. 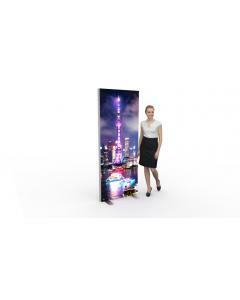 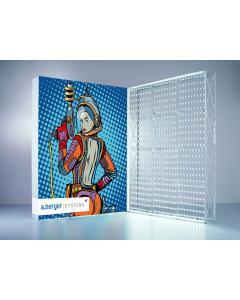 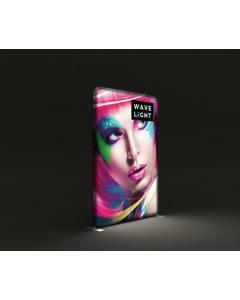 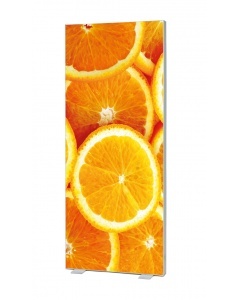 The chosen design was an aluminium framed stand with seamless fabric graphics throughout. 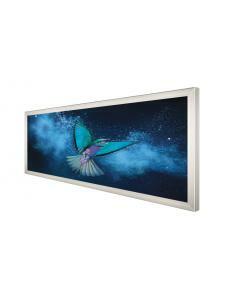 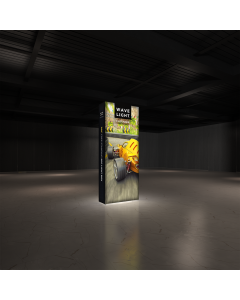 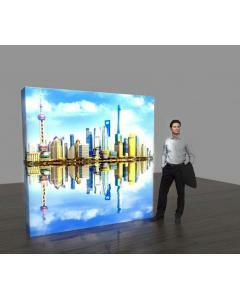 The 3 metre wall was constructed from a 135mm deep lightbox with high quality backlit LED illumination. 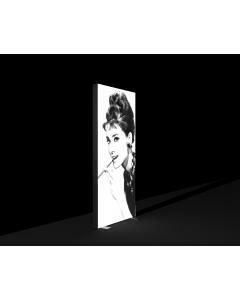 The 6 metre wall was divided part way down by a triangular store with full height lockable door. 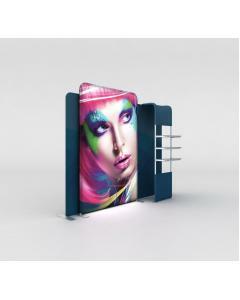 A bespoke aluminium framed counter with full graphic panels also provided further storage space for literature and merchandise. 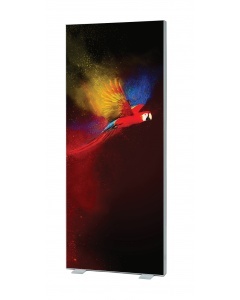 The three brand colours were used throughout the graphic design and followed through to the choice of carpet. 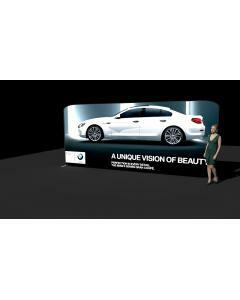 The exhibition stand was to be used in its full size for the first event at IBMS. 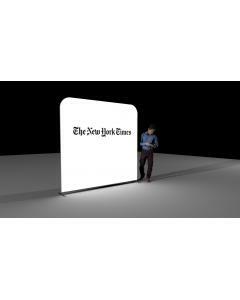 It can also be reconfigured to fit within the following stand sizes; 3x1, 3x2, 3x3, 3x4, 3x5 and 2x4. 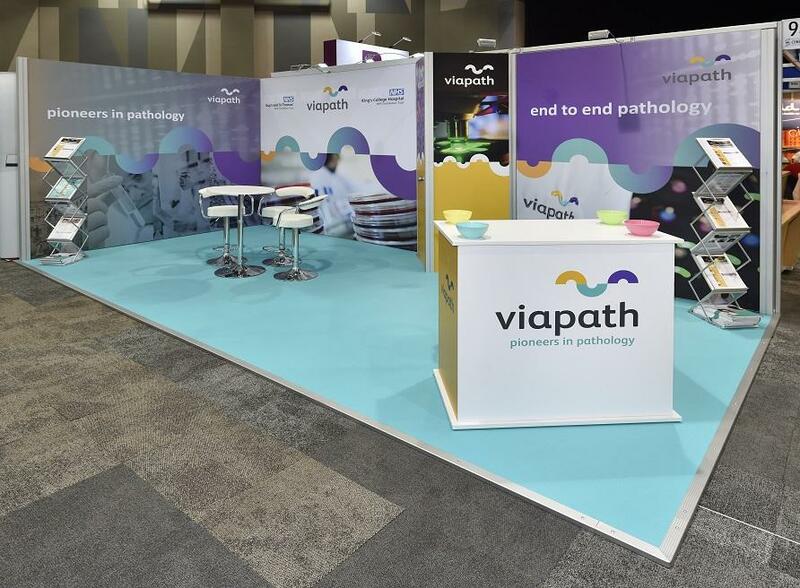 The Viapath exhibition stand looked great at IBMS and was extremely busy throughout the event. 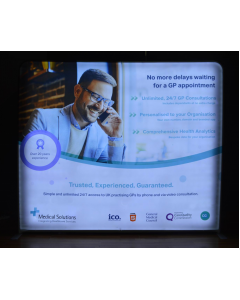 The client feedback was positive and the stand will soon be used in its reconfigurable sizes at a London based event at the end of 2017. 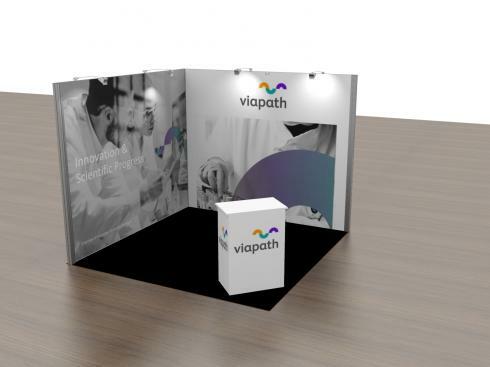 If you would like to get in touch with us about your next event or our custom exhibition stand services please call us on +44 (0)1733 570222 or complete our Exhibition Stand Enquiry form below.